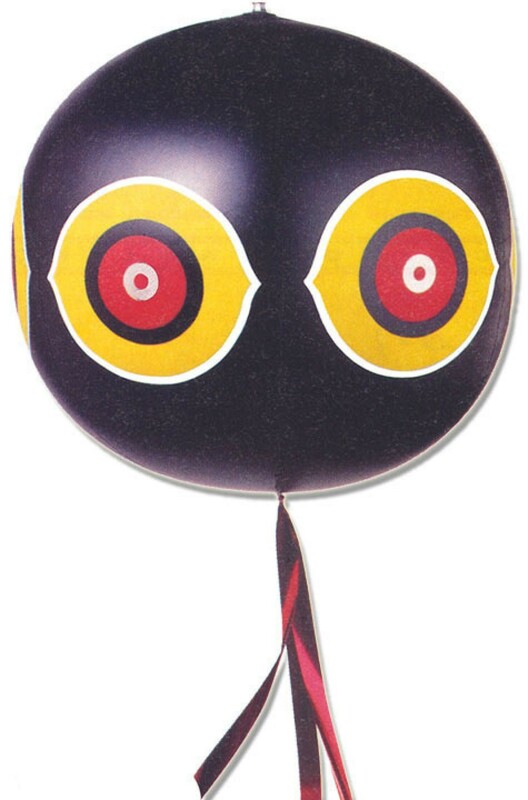 These scare eye balloons are 2' in diameter, brightly colored with large metallic eyes and mylar flash tape streamers. The idea is that they move in the wind and are used to deter woodpeckers and other pest birds that do property damage. To be really effective change colored balloons and locations frequently. These are available in 3 different colors.